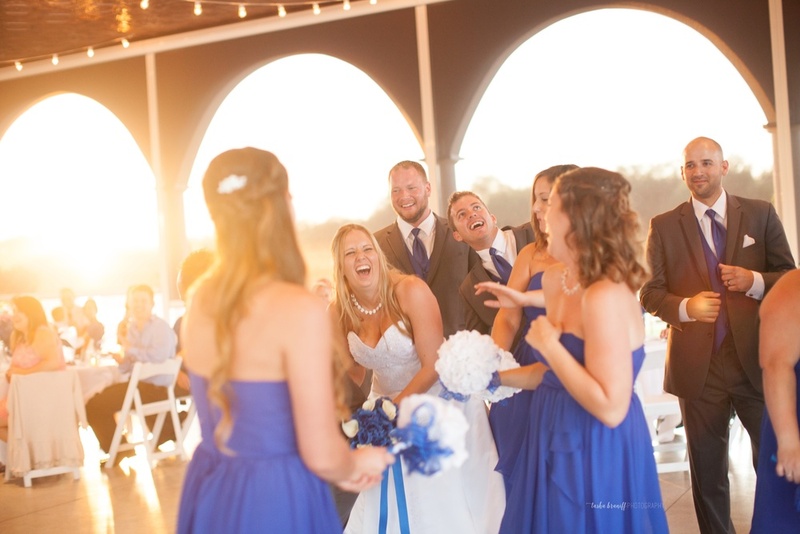 Jake was in my friend's wedding a few years ago...referrals are my favorite! Stephanie emailed me several months ago and booked me without even meeting me. We did their engagement photos in the Spring then they're wedding day came quick. They found this awesome venue in Dayton. Cedar Springs Pavillon. It was very much worth the drive out there. The weather was perfect (a little hot, but the sun was shining and the sky was blue). We had so much fun with these two. Stephanie was chill and ready to walk down the aisle with her grandpa to see her fiance for the first time. Jake was grinning ear to ear, waiting for her. Thank you two for letting us be apart of your day. We had so much fun, and I loved spending the day with you guys! Just a few behind the scenes... with our super cool shades. That's how we roll.